Grady and I just got back from the most wonderful week! I took my first watercolor workshop. 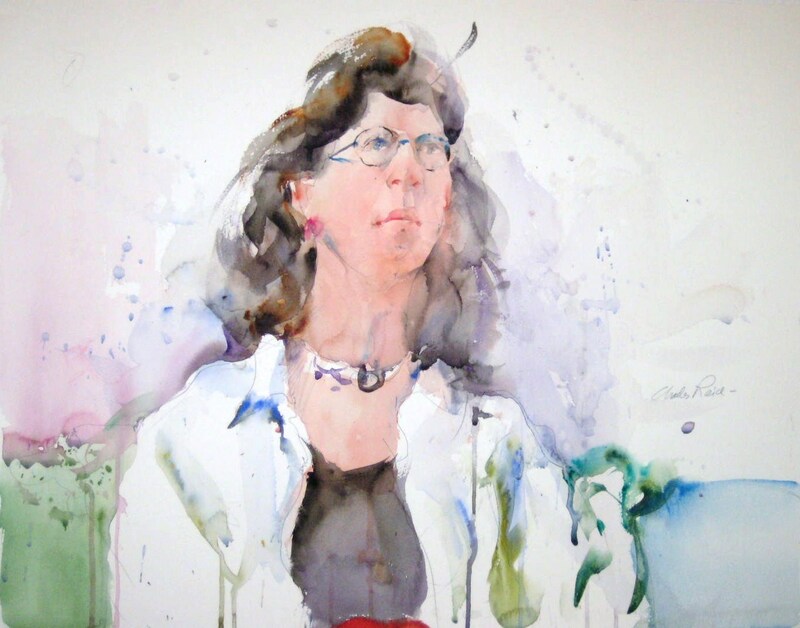 I started at the top by taking a workshop with the world renowned Charles Reid – he is one of my all time favorite watercolor artists and he’s one of the masters. It just doesn’t get any better! It truly was a once in a lifetime opportunity because Charles is in his 70’s and I’m not sure how much longer he’ll be doing workshops. There were 20 of us in the workshop, it was for 5 days, from 9 am to 4 pm, and it exceeded all my expectations! So, I’m going to do a post on each of the 5 days I was there. You’ll definitely see some improvement in my painting as the week progresses – it’s quite obvious – or at least I hope it is! We stayed at a great bed & breakfast that was on top of a mountain – we had GREAT views. They fix a homemade breakfast each morning that was delicious and homemade dessert every night for the guests. I’m serious when I said this was a GREAT trip! The first two days we had a live model come in for us to paint. Charles painted Jenny in the morning of the first day, then we had lunch, and then a new model came in for us to paint in the afternoon. 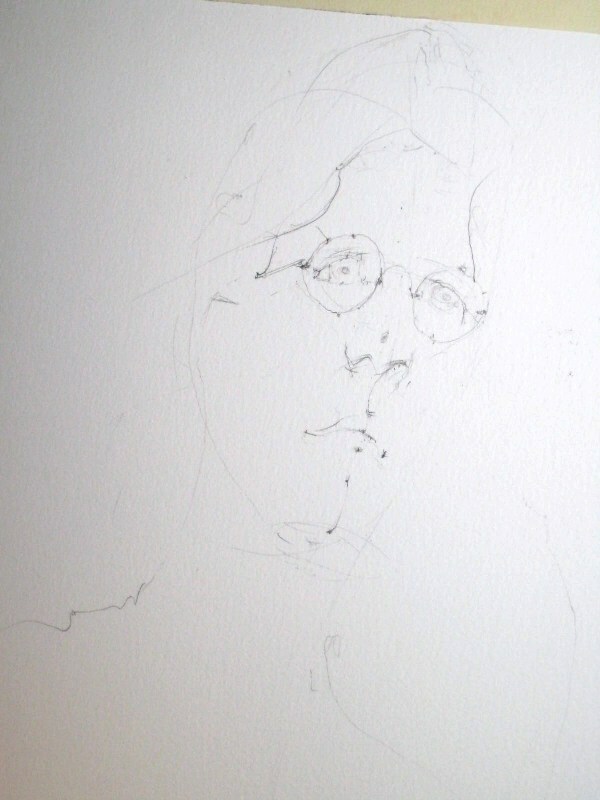 The first picture is the contour drawing Charles did of Jenny. The second picture is Charles showing us how he mixes his paint on the palette. You can see the model in the background – I loved her cute glasses. I can’t believe I forgot to take a picture of my model the first day – I was quite overwhelmed by the whole day and didn’t take many pictures – but here’s my finished painting – trust me – they get better as the week goes on :)! Wow, I am so jealous! I love Charles Reid, have all his books, and some of his tapes and I really want to take a workshop from him too. I love your first post and can’t wait to see more. Hurry, please! Thanks. Donna, you are cracking me up – you sound like me. 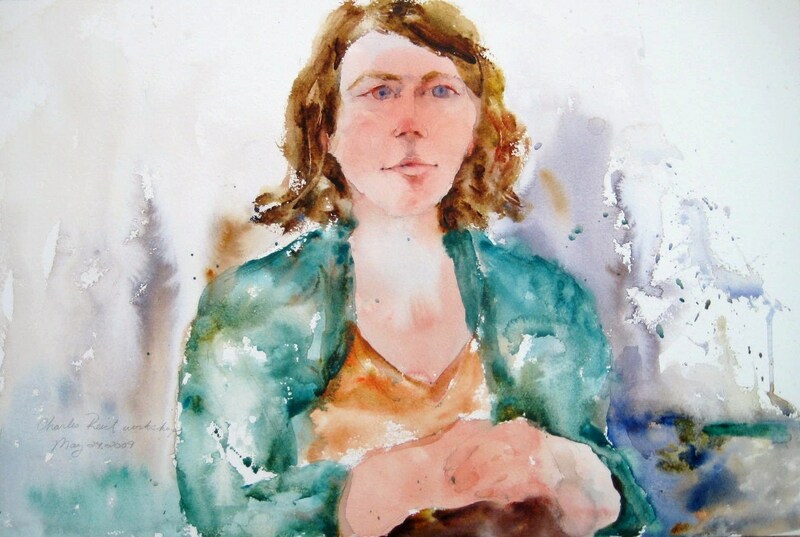 Carol Feldman (drawingtelaviv.blogspot.com) went to a Charles Reid workshop and posted about each day and I was just like you – I couldn’t wait until the next post! I HIGHLY recommend taking one of his workshops. I learned so much from him and the one on one time you have with him is priceless! 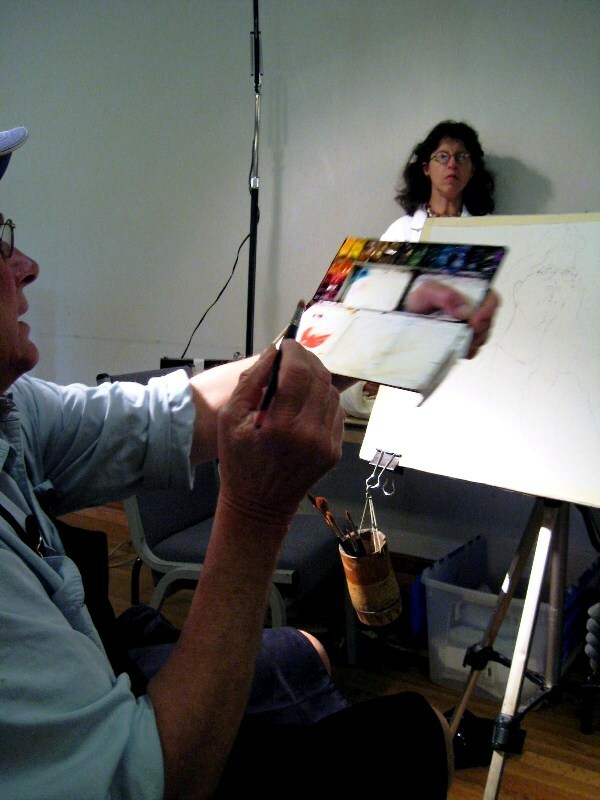 Check out Carol’s posts about her time at his workshops too – you’ll enjoy looking at those.